Jet Airways has cancelled all international flights for today and tomorrow due to scarcity of funds by the airline, Indian media reported. 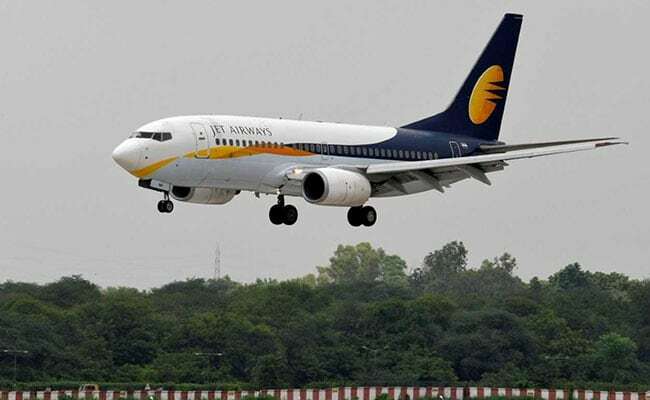 Meanwhile, the government is monitoring the operational situation at Jet Airways closely to ensure the airline complies with overseas flying rules, news agency IANS reported citing official sources. The airline is currently operating only about 14 aircraft down from 26 last week and this might lead to the suspension of its international operations, the IANS report said. Civil Aviation Secretary Pradeep Singh Kharola told news agency ANI, "It (Jet Airways) is currently operating less than 15 planes and its eligibility to fly on international routes needs to be examined." As per rules, an airline needs to have minimum of 20 aircraft to be eligible to operate international flights. JAISEE KARNEE WAISEE BHARNEE.YE ISHWAR KA NIZAM HAI. SACHA RASTA SUCSESFULL RASTA.I AM ALWAYS TRAVELL WITH JET AIRWAYS. I HAVE TWO TICKETS ONE IS 02 JUN 2019 RTN KWT TO MUMBAI. AND ANOTHER 07 AUG 2019. I WILL REQUEST TO JET AIRWAYS OFFICE IN KUWAIT TO PLEASE REFUNED OUR COMPETE MONEY OR PLEASE MAKE SOLUTION TO DIVERT ANY OTHER FLIGHT. Mr. Goyal a common man started this airlines in 90s and grown very fast in d aviation sector and all this he can''t achieve without the support of corrupt politician n govt. He took d hefty loans from many banks during 1997-98 to 2006-07. And during the crises in 90s many airlines shutdown or running in heavy loss, maybe some of d name still remind in ppl memory like Damania, East West, Sahara, Indian Airlines, etc. He also looted the money of the bank and didn''t repaid and present govt. screwed all NPAs and Jet Airways is one of them. Jet came up with fancy fleet that attracted pax. But, Air India should blame themselves for their failure. It played nokia game, like they never upgraded themselves according to the demand. poor indians will have to pay from their pockets for all this loses and the money looted from banks by millionaires like malia, chowsky, modi etc. Sad to see one of the best airlines of South Asia, vanishes in the clouds. Who is the culprit? Probability for Reliance Airlines in the near future!!!!! Ppl have booked flight tickets from jet airways wht abt them are they going to get the full refund or whtz the plan n arrangements done for them. Forget about Jet airways at times Mr Goyal played games and stopped Air India to fly to Kuwait and Mumbai. At that time he problem for Air India and today he is in the same soup . God does not leave anybody Mr Goyal you will have to pay it for it to gain the same power. I have been flying from 1975 by air India to Kuwait you came there and destroyed the air india and now it is your turn.